What a hot summer so far! I attended a Strawberry Festival yesterday at a local grange. It was wonderful to see so many multi-generational families attend together. Young an old alike enjoyed strawberry lemonade, strawberry shortcake and barbecued hot dogs and sausages. There were a lot of entrepreneurial vendors displaying goods from shabby chic to homemade strawberry jam. It brings us back to simpler times, even if only for a few hours. With the Fourth of July coming soon, it is a good time to remember the principles our country was founded on. Imagine our forefathers meeting hours on end to craft the constitution "Of the People, By the People and For the People." They talked, argued and negotiated to get the wording in just a way to be meaningful for many generations to come. Many things have changed over the years and technology has wrought even more change. While things are quicker with technology, such as news 24/7, it is not necessarily simpler these days. We learn of more things than we could imagine or need to know. My hope for the world is to see more strawberry moments and to take time out for families. These times are precious and quickly become a memory saved in pictures or on Facebook. Fiction Friday Reviews A Bride At Last! Melissa Jagears can tell a story that will leave you asking for more. A Bride to Last is no different. I have to say I enjoyed this book and was so sad to put it down. I met Silas Jonesy, the hero of our story before and was surprised to find him to be the handsome man on the street at the beginning of this story. He was an angry man who took to the bottle when his mail-order bride left him after a short 7- month stay on the homestead. Kate Dawson, a young school teacher is tending young Anthony's dying mother. When Lucinda passes, Anthony believes Kate will take him in. Lucy had written to his Pa...both of them! Only one is his flesh and blood but also a stranger. Arriving too late, Silas hadn't the chance for Lucy to tell him that in their brief time together, he fathered a son. Richard kept Lucy as his mistress for a time and Anthony knew him as Pa. He shuddered to thing he would have to live with either man. He heard nothing but bad things about Silas and Richard was cruel and abusive. Kate has difficulties as a single woman who made her way teaching school and living as a boarder to a family of one of her students. She is held to unreasonable standards and scrutiny. She loves Anthony as if her were her own child and yet, the school board makes it difficult for her. She can't bear to lose him to either man yet she can't keep him and her position as a teacher. What follows is a story of love and healing that will warm your heart in the end. There are many struggles in the lives of Kate, Anthony and Silas. Getting to know Silas and his trials will give you a glimpse into a man used to living a rugged life. The lengths he goes to to build a life for his son could make any man give up and retreat to his former way of life. But he has faith. The characters in this book are complex. The scenery is vivid and I can almost hear the coming of the trains at the depot. If you are like me you will feel emotional as the story progresses. I love American History and novels with an historical bent are a standard on my bookshelves. The great migration west in the 1800's was an incredible part of the history of our country. People survived or they did not. Melissa has a gift for capturing the heart of that era. I recommend this book with 5 stars. Pick up your copy at your favorite local book store or online bookseller. Hearts Made Whole is a story of courage, trust and finally love. The second in the Beacon of Hope series by Jody Hedlund will capture your heart from page one until you turn the last page. Our story unfolds at Windmill Point Lighthouse in Michigan. The lightkeeper and the doctor are leaving the shores of Lake St. Claire as a storm brews. Afraid for her father, Caroline Taylor wills him to come back but all her pleading cannot convince him to abandon a trip that will bring much needed medicine for her invalid sister Sarah. 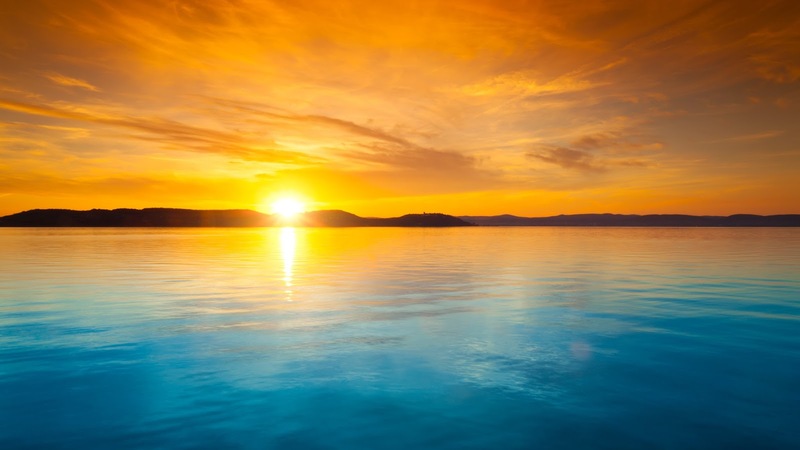 As he set course, she watched in horror as his rowboat sinks, sending him to a watery grave. Her two sisters and young twin brothers depend on her skills developed as her father's lighthouse assistant to support them. Her one hope is that her skills will convince Mr. Finick the district supervisor to give her the job full time. Set just after the Civil War at a time when men were returning home to rebuild their lives, The lighthouse districts will hire returning veterans as thanks for their service. Ryan Chambers is one such veteran and arrives to begin his new position as new keeper of the Windmill Point Lighthouse. Badly injured in the war physically and spiritually, he believes this job is his last chance. He surprises the Taylor's, who believed they had a full week to pack up and find a new livelihood. As he comes to quickly realize their dire circumstances, he agrees to give them their full week to prepare for the move. He hadn't dreamed that this capable young woman lost her job and he was the one who was taking it! What follows is a story full of second chances for people who would not have met for the tragic events that unfolded at the start. It is brought them together. The characters are well developed and the story is very engaging. I recommend Hearts Made Whole and the Beacons of Hope series. the books are good as stand alone books, but if you are like me, when you find an author you like you want to keep reading more. 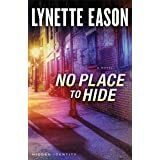 I enjoy a good, suspenseful mystery so when the opportunity to review No Place To Hide by Lynette Eason came along I couldn't pass it up. The story begins with Jackie Sellers breaking into a home. Once inside Ian Lockwood's darkened home....the story unfolds and the reader begins to guess what and who is behind a sinister plot to instill terror. I couldn't put the book down until I finished it. I have read Lynettte's novels before and this one lived up to my expectations. I was surprised by the ending and pleased with how well the puzzle went together. Lynette weaves a tale so well that I can't find any cracks in the plot. As the story grows, so does a love story that seems impossible for all the unresolved emotions and surrounding deception. If you are looking for a good mystery, pick up a copy of No Place to Hide today! For fans of Amanda Cabot the wait is over! Book 2 in the Texas Crossroads series is available now. I enjoyed reading At Bluebonnet Lake so I was really looking forward to reading In Firefly Valley. Kate and Greg welcome new guests to Rainbow's End and each new member will warm your heart as much as the characters in the first book. Beautiful Marisa St. George is swept off her feet by Blake Kendall, a financial planner from California. She believes he is perfect in every way until she discovers he is covering his real profession as an author of suspenseful, fast paced fiction that she loathes. He thinks she is the one woman who can make him happy until she shows a lack of forgiveness to those who don't measure up to her standards. First on her list of unforgivable people is the father who abandoned her and her mother Carmen on the day of Marisa's high school graduation. The story is very centered on forgiveness and it delivers a powerful message by Amanda. Believing people cannot change makes life difficult for Marisa. Can she love people who have made mistakes she disapproves of? Can anyone live up to the standards of perfection she exacts? The characters are developed, the story is engaging and perfect for your summer reading list. Pick up a copy of In Firefly Valley and if you haven't read At Bluebonnet Lake yet, I recommend you read it first to get the history of Rainbow's End.